Rent Solare Ristorante | Corporate Events | Wedding Locations, Event Spaces and Party Venues. Blending traditional Italian cuisine to more contemporary unique dishes, Solare focuses on seasonal cooking, using fresh, local and organic ingredients. Family-owned and operated, Randy Smerik and his team are dedicated to providing an amazing dining experience for you. Chef Accursio Lotà’s authentic Southern Italian cuisine features a focus on fresh and locally sourced ingredients … including fresh pasta made each morning and organic produce, wild fish, and hormone free meat. We offer a full lounge and bar offering a deep selection of wines, beers, and craft cocktails. Even our design and interior is rooted in organic elements, like teak for the customized furnishings, and natural wood floors & fabrics imported from Bali. Solare helps to sustain the historical landmarks of NTC Promenade … and in fact the classic “Top Gun” movie with actors Tom Cruise, Kelly McGillis, and Val Kilmer was filmed on the present day front patio. At Solare, we know there is one thing that you want when organizing a personal or business function: it’s absolute perfection. Whether it’s a wedding reception, private or corporate party, we offer the service, experience and venue to make sure your event is a total success. We can accommodate parties of up to 100 guests or larger for cocktails. Solare offers a full bar, lounge and patios, wine room and a private dining room which sits 20 persons. 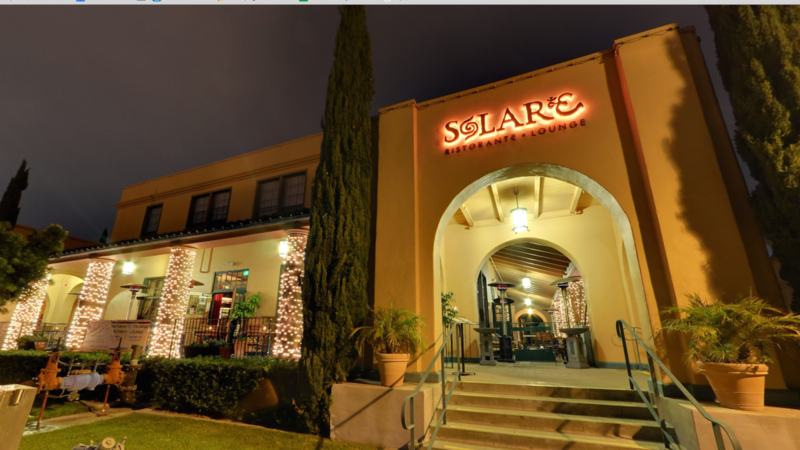 Located in the heart of Liberty Station, Point Loma, surrounded by lush parks, and right next to Downtown, Solare is the perfect venue to host your unforgettable event.